Don’t be fobbed off with mini-monster trucks and micro-monsters. 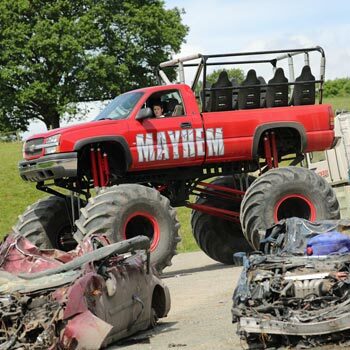 There’s only one US spec monster truck in the UK, and I can help you drive it! That’s right, not many people know that you can actually get behind the wheel of this diesel guzzling behemoth and drive it around an obstacle course. Not just that; on some experience days you can even crush a car beneath the thundering wheels of the gleaming red beast. I have chosen a special experience below as my bargain recommendation. 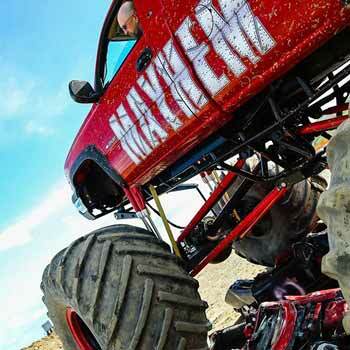 Click through now to find out more, or read on to get other options and deals on a similar monster truck driving experience. This is a great deal on the best selling US truck day. 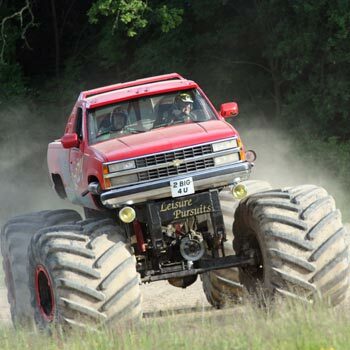 You can drive a monster truck and several other vehicles, all loads cheaper than other providers charge for the exact same experience. Awesome! Euro spec or US spec monster truck? US spec every time. It’s bigger, bolder and noisier. Might cost a bit more but worth every penny. You can find a bit more information on the difference between these two trucks on the Best Experiences website. What happens on the monster truck day? When you get to the venue in East Grinstead, West Sussex, you’ll be given a health and safety briefing and an introduction to the vehicles before you get behind the wheel. 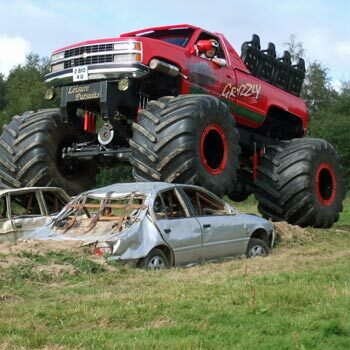 It’s a bit frustrating when you’re eager to get driving, but absolutely necessary considering the potential dangers of zooming about in a monster truck. You will then rotate around the US spec Monster Truck, Euro spec Monster Truck and the Rallykart with driving time in each vehicle. The US truck is obviously the highlight so they normally leave this to last – they know how to keep you keen! Depending on the experience you buy, the overall time at the centre will normally last a couple of hours. However people often don’t realise that you will only be driving for about ten minutes per vehicle. It sounds a bit short when you say it like that, but believe me, after ten minutes of bouncing, rocking, revving and smashing round a field, you’ll be more than happy to have a quiet sit down with a cup of tea and a cake. So how big is a monster truck? The US spec car mahoosive. You don’t realise how high off the ground this growling beast is until you try to get in. You’ll need a step ladder to climb into the cabin and a head for heights, as the driver’s cab is over 6 feet off the ground. At this height it makes your average Landrover Discovery feel like a tiny go-kart. The Euro spec car is a little smaller. It’s still huge and still a real monster truck, but if you’ve got the choice I’d always go for the US spec car. It’s just that bit bigger, and if you know anything about driving a monster truck, you’ll know that the bigger they come, the better they are. 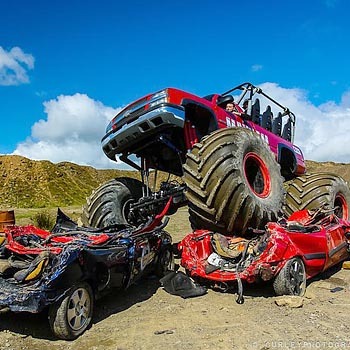 I’ve researched all the monster truck experiences available today in the UK, and here’s a rundown of the best offers. Remember that even when the providers are different, when experiences look the same, they are usually the same. There are probably five or six different experiences that are subtly different, but you can choose the cheapest and know you won’t be losing out. – You don’t need a driving licence but you do need to be at least 18 years old. – Choose the US spec experience. The US car is bigger and better, the Euro spec car is smaller and cheaper but the price difference is totally worth it! If you’ve been on one of these activity days, leave a review below to let everyone else know what you thought. You might win something brilliant too! If you’re hungry for more or if you need convincing that this experience is clearly the best thing ever, here’s a video of the day in action. Fast forward to 8.35 and you’ll see how exciting it is to drive one of these trucks.